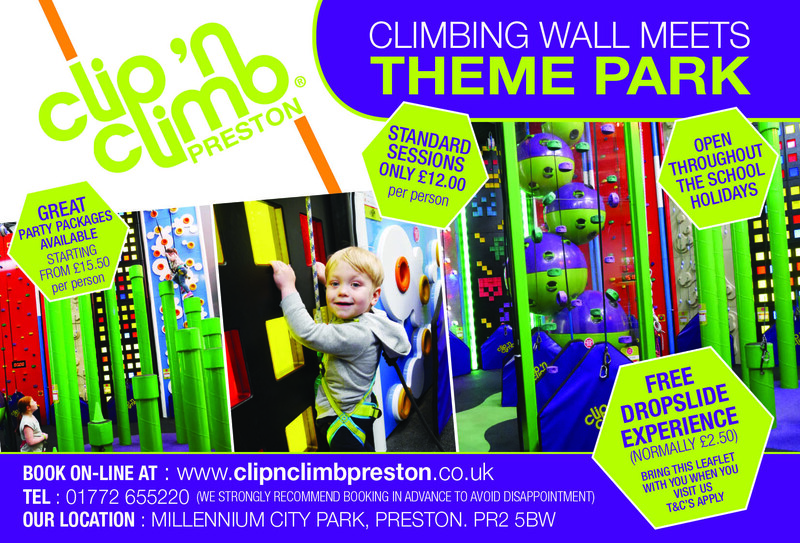 Clip ‘n Climb Preston is a family run business going into its third year of trading. The owners had a passion to bring climbing to everyone and Clip ‘n Climb Preston is a great introduction to climbing whatever age you are. The owners Vicky Coupe and Zoe Smith from Goosnargh had a vision to open a centre that not only was a fun climbing experience but also serves fresh locally sourced food with hand crafted coffee. Climbing is one of the fastest growing sports worldwide and is looking like this trend will continue. One of the main reasons for this growth is the accessibility to everyone of any age and ability but also its health benefits. Not only does climbing provide physical benefits, such as building endurance, muscle and flexibility, climbing can be beneficial to both the brain and mental health; climbing is known to reduce stress and have positive outcomes on mental strength. ‘Getting kids to do more physical activities and off their computers and phones is a plus for us’ says Vicky. Clip ‘n Climb Preston has a variety of different activities that run throughout the week, including ClimbFit, Toddler Sessions and Adult Only Sessions. There is a session to suit everyone.